Well, I must say...this past weekend was quite an adventure! I spent my Saturday morning in downtown Greenville at the Indie Craft Parade, followed by an afternoon of competitive college football (USC vs. Georgia - Congrats USC!) and then I was off to see Eye Empire play at the Handlebar. I took the camera to a local photo shop yesterday and had them take a look at it. (I was having a hard time opening the back of the camera and didn't want to tear anything up). 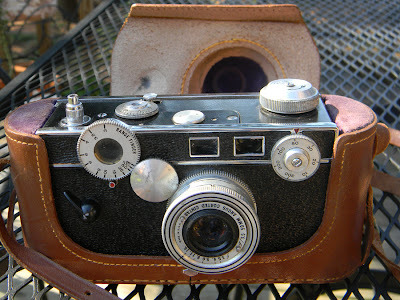 The seller had told me the camera had a roll of Kodachrome film inside! 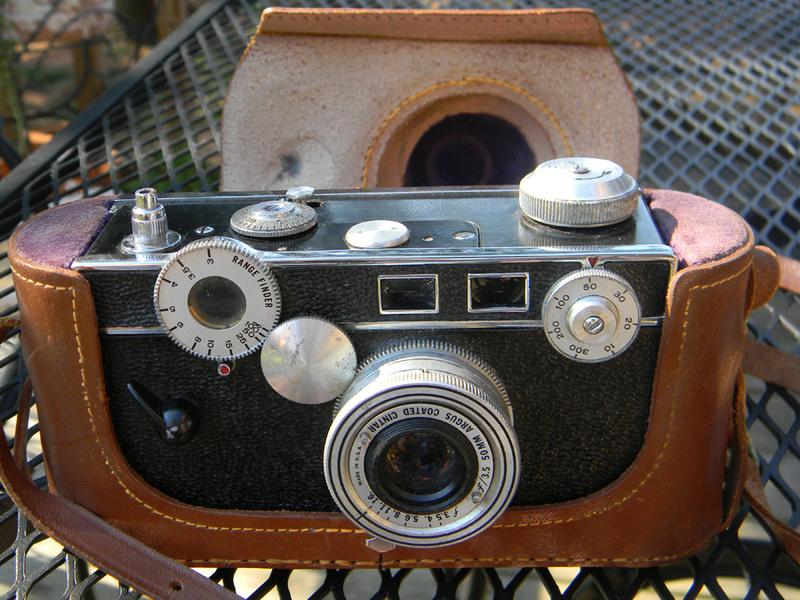 Sure enough - the Kodachrome roll was inside - although, the film was loose from the canister. Still a pretty cool thing to see. I can't wait to get this thing cleaned/oiled up and take a few shots. I'll keep everyone posted on how it goes. Wish me luck!